Our accommodating Chairman, Stuart Smith, has thoughtfully brought forward the start time to 1100hrs so that players, families, friends and supporters would be able to watch the Men's Tennis Final at Wimbledon on TV during the afternoon, and incidentally the Final of the (men's???) Soccer World Cup too! 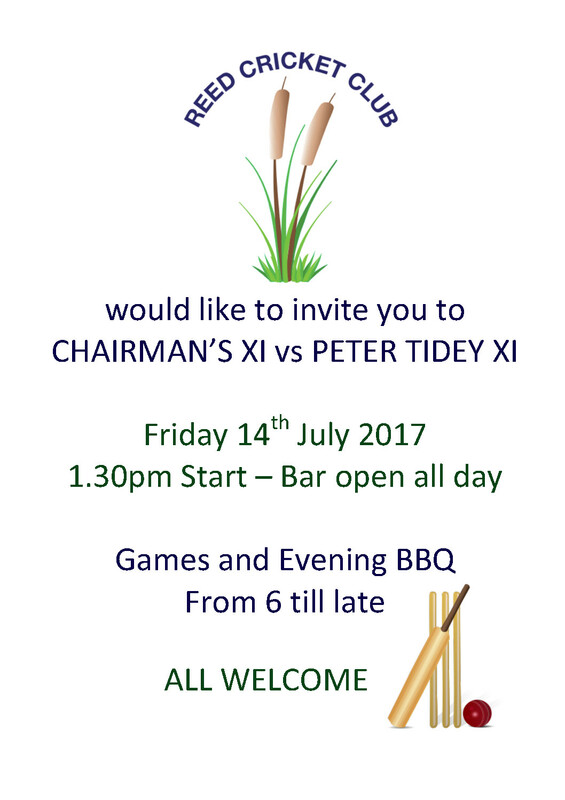 Stuart Smith’s inaugural Chairman’s Match is anticipated to be a hard-fought contest between his XI and a team led by the wily veteran bowler.